The newly-appointed chair of Myanmar Investment Commission (MIC) U Thaung Tun, who is also Union Minister at the Office of the Union Government, is going to lead a delegation to the third annual Belt and Road Summit in Hong Kong this week. Demonstrated by the major economic reforms we have implemented over the past year, the Myanmar government actively and enthusiastically encourages responsible investment in the country. The high-level delegation to Hong Kong, comprising senior policymakers as well as key actors in the private sector, is the latest example of our commitment in this regard. 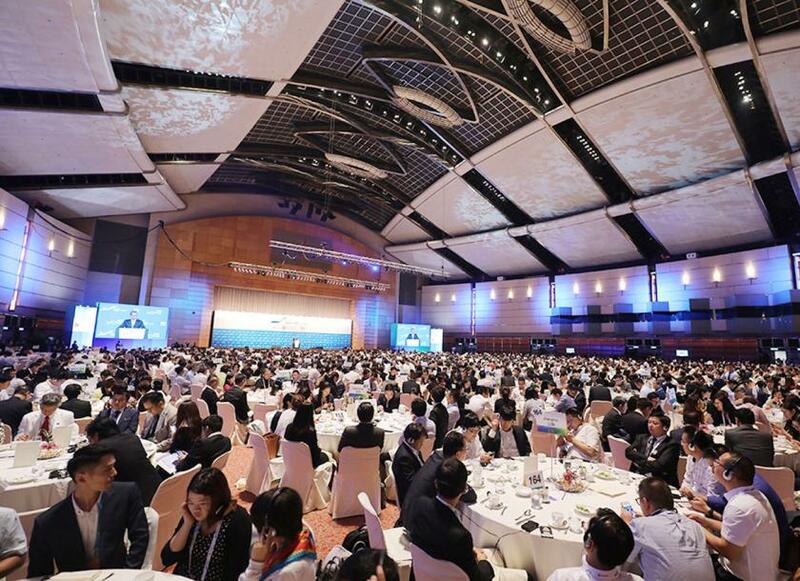 Organised by the Hong Kong Trade Development Council, the Summit will be held from June 27 to June 29. This year’s Myanmar delegation includes members of the MIC, principal officials from relevant ministries, a regional minister from the Yangon government, representatives of the Union of Myanmar Federation of Chambers of Commerce and Industry (UMFCCI) as well as private businesses and investors based in Myanmar. One of the objectives of the Belt and Road Summit is to explore new economic opportunities under the Belt and Road Initiative. In the forum, the delegation of officials and business leaders from Myanmar will seek to tap into those opportunities and tell the wider world that Myanmar is open for business. A key aspect of the agenda will be partnerships with China. Myanmar and China in February finalised a Memorandum of Understanding (MoU) on the China-Myanmar Economic Corridor (CMEC), which the cabinet in Nay Pyi Taw hope to approve before the end of this year. Under this arrangement, both countries agreed to cooperate on many sectors, including infrastructure, construction, manufacturing, agriculture, border economic cooperation zones, “digital Silk Road”, public health, water technology, disaster mitigation, tourism, finance and research and development (R&D), among others. In particular, the delegation will be pitching five mega projects to investors worldwide: New Yangon City, Yangon-Ayeyarwaddy Development project (Nga Yoke Kaung) and Pathein Industrial City, New Mandalay Resort City, Mandalay’s Myotha Industrial Park and Muse Central Business District (which will be implemented as part of the CMEC). These projects will be showcased in the Myanmar-specific events – Myanmar Investment Roundtable and Myanmar Promotion Seminar – on June 29. I look forward to talking to international investors and foreign businesses about Myanmar’s economic reforms and investment opportunities. Aung Naing Oo is the director general of the Directorate of Investment and Company Administration (DICA).